Betzest is a new casino and sportsbook in 2018 tremendously anticipated by all internet. It’s predicted to be launched just before World Cup Russia 2018. 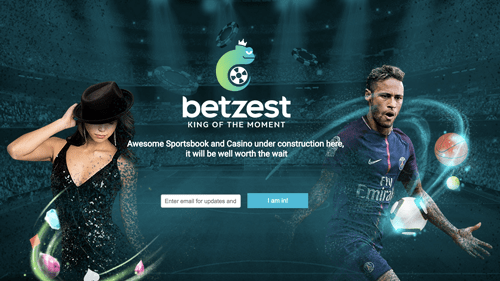 Betzest has a target to bring to market the best online gambling products under one brand, truly focused on delivering an exceptional player experience, living by key values such as “At Betzest every customer is the KING OF THE MOMENT”. With casino and betting experts behind Betzest wheel, working hard on building unique product, certainly, they will be a success story. Licensed by faithful Curacao& MGA regulations, their future plan is to obtain UKGC license as well. As a result, in late 2018 they will launch in the UK market too. Therefore Betzest it promises to be one of the Best UK Mobile Casinos and Sportsbook. Further more will also supply UK Casino no deposit bonus and free spins will be always wager free. The slogan of Betzest Sportsbook is : Find Odds On Any Sports and their customers are excited, empowered and eager to come back for more. Betzest are very popular into European markets as well as international. Betzest platform is promising to be stylish and available on all devices. Their unique advanced technology is supported by SportingTech platform and odds powered by the worldwide leading provider Betradar. Therefore, it proclaims to be the next huge Bookmaker offering best football odds, great holistic welcome package and massive variety of football live betting at World Cup Russia 2018. Betzest New Casino customers will be spoiled for choice by the great variety of video slots from top casino providers such as Netent, Microgaming, WeAreCasino, etc. Combined with regular unique promotions like No wager casinos Free Spins, players will enjoy great casino and live casino experience. Last but not the least they will have their unique slot game: Betzest slot.